With the absolutely responsive design of this Beauty Website Template you can rest assured your own eye-catching beauty company web page will do the job and look perfect on virtually any device imaginable. Google prefers mobile-friendly web sites, so you will have better chances to rank high using this terrific Beauty Web Template. 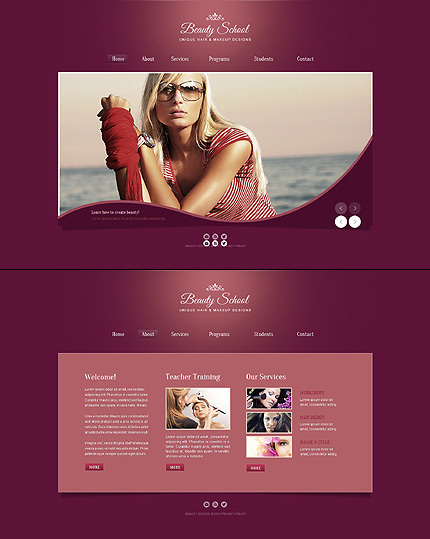 Find what this website template has to offer from the live demonstration!